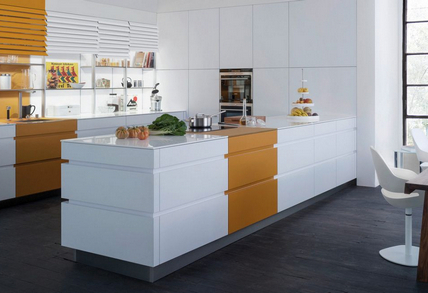 When fronts are not broken up by visible handle elements, kitchens have a particularly calm, elegant and modern look. 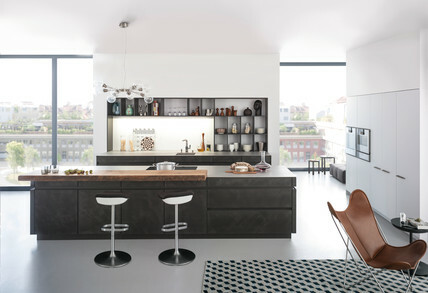 And LEICHT has a number of different design possibilities on offer. A modern classic is AVANCE with the typical bevelled front edge for an ergonomic and particularly convenient handle. 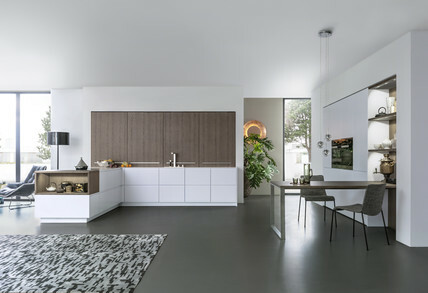 In CONTINO, the worktop takes on a floating character due to the recessed handle directly below that can be lacquered to correspond to the front colour. 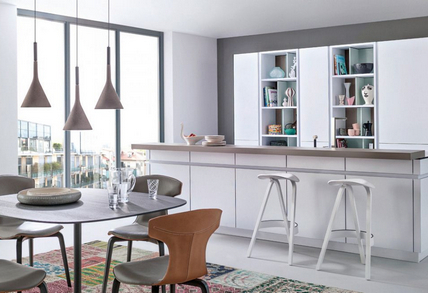 The 80 cm high carcase offers generous storage space: the lower pullout is high enough to store bottles. 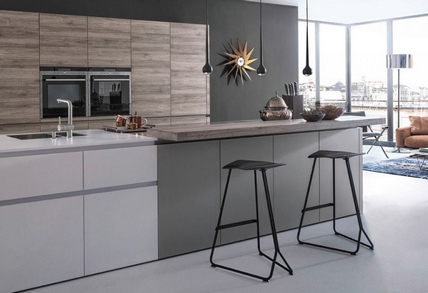 AVANCE pro is the only handle-less kitchen with a front made of solid premium laminate just 4 mm thick. In the main LEICHT collection, the handle-less trend is continued. All aluminium profile griprails used here can be lacquered in RAL colours to correspond to the front. They thus visually fade into the background. 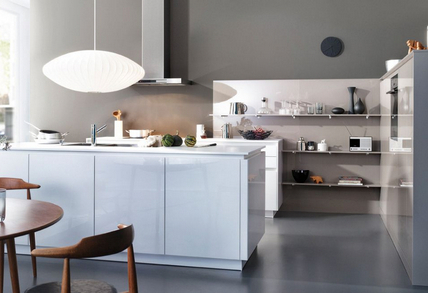 Alternatively, there are variants with a metal or stainless steel look. The handle-less range comprises aluminium profile griprails, the PUR range featuring recessed handles milled into the front, SensoMechanik that works with a spring-load action and the electro-mechanical SensoMatic opening for pullouts and drawers. And there is also the new handle-less opening technology for fridges. 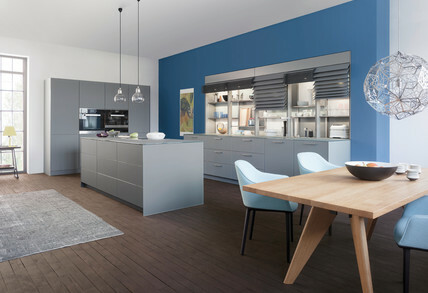 All in all, a versatile and full handle-less range that offers individual planning and design possibilities whatever the requirements and budget.